A PICTURE PERFECT SEPTEMBER is here! Welcome to the SEPTEMBER RELEASE day at The Greeting Farm! It's a great day to ring in some royally cute releases with our awesome Design Team here on the farm. In addition to the release, we have some super fun buzz going on over on our Facebook page regarding a "Super Secret Stamp Club" coming SOON! In addition, if you haven't picked up the August newsletter from last month yet, be sure to check it out, because there's an exclusive "esSAY what?!" contest going on for a few more weeks that you won't want to miss! For now, we know you're all excited to get right down to the important part- the awesome creations you'll see along the hop today as well as a chance to WIN the ENTIRE RELEASE! Just be sure to head down this list, and then back to the TGF BLOG letting us know you've finished the hop. You have until 11:45pm CST to finish hopping. WOO HOO! Thank you so much for joining us for this picture perfect, royally cute release! 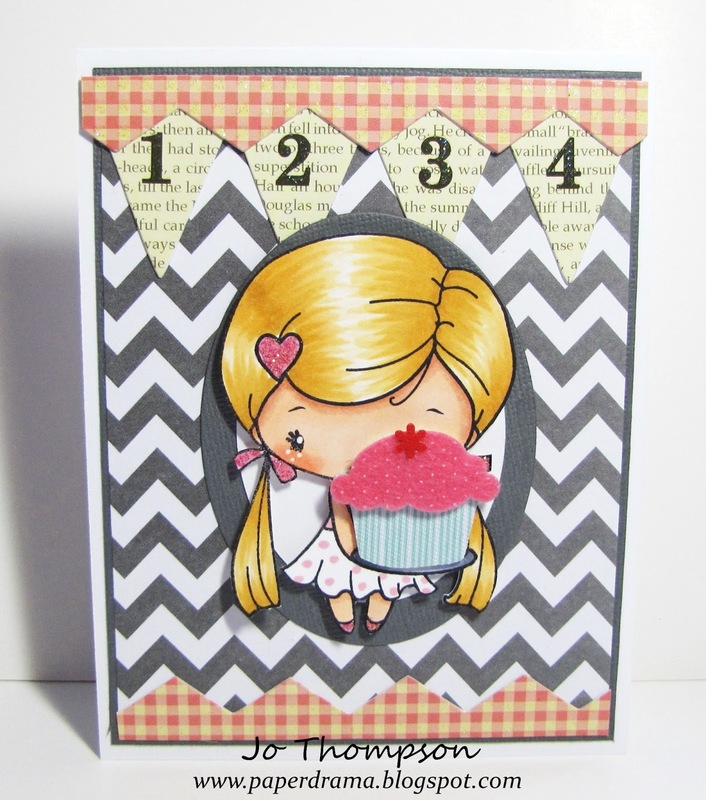 Here is my card using the Royal Cutie Pies set. Very clean and simple. I just colored one of the cutie images with my Copics, popped her up and added some Stickles. On the bottom of the card, I took two markers and just swiped the broad tip of the Copic marker to create two lines. The "Hello Sweetie" is from the set and it is stamped on a heart die from the Film & Polaroid Die set. Ta-da all done! Here is the blog list so that you don't get lost. 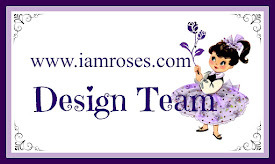 Have fun visiting all the blogs and the wonderful creations from the DT! Hello Friday! Finally! For this Farm Fresh Friday Challenge, it is ANYA-Licious time over at The Greeting Farm. Use any ANYA image that you have to enter. This challenge, I made a different kind of card, a Flip-it Card. 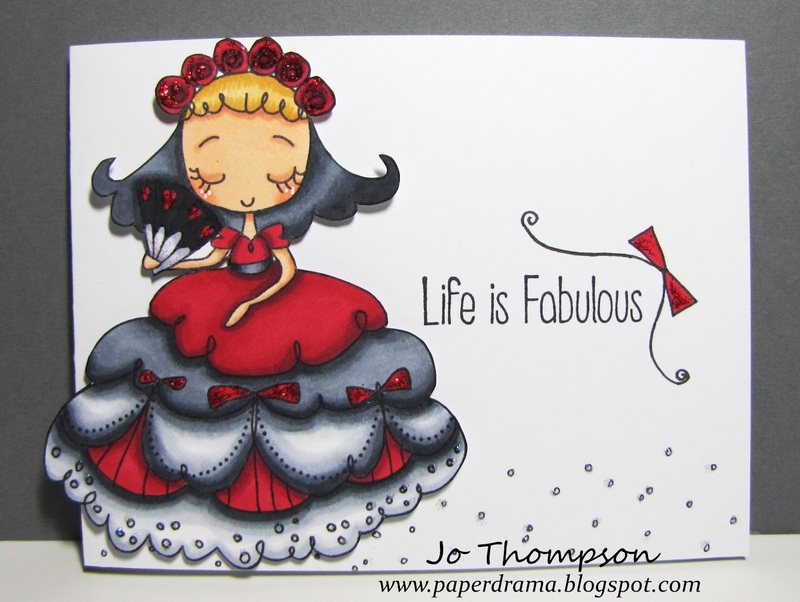 This was achieved using the Sizzix Stephanie Barnard Flip-it Card Die. I got this die a couple months ago and I finally used it. This was so fun to make, I love interactive cards. The only suggestion I have using this die, is to use double-sided pattern paper. It makes it easier to not to worry about the inside or the back of the card. You can always add additional paper as layers. I myself didn't listen to my own tip, so I had to kinda paper piece this card together. Either way it still was fun to make and I love the look of it. Fancy Anya is colored with my Copics and sparkles with Star Dust Stickles on her dress/shoes and hair barretts. For even more girliness, I gave her some pearl earrings. I used the Mini-Fleurs Clear Stamp Set w/Die for the flower and leaves images. For the inside of the card I used the sentiment from Anya Blooms. Okay there is no reason for anyone not to play along, you should at lease have one image of Anya right? After all, she is the star of TGF! Head on over to the TGF Blog to join. Happy Thursday! This will be my third project using the Aloha Stamp Set from MyStyleStamps. I love seeing different samples using one stamp set and I hope you do too. Here is the card that I created. Using a Polaroid Film die, I wanted the image to look like it was taken on a Hawaiian vacation of a Luau or something =) I stamped the girl image 2x and colored the top half and bottom half of each image separately. I fussy cut both flower images (small & large). Star Dust Stickles were added only to the flowers in the frame. Using some burlap chevron trim that I had in my stash, I just laid it down the center of the card. You can view a close up of my card in this video HERE. 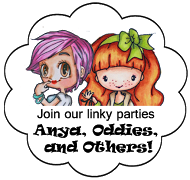 Stop by the MyStyleStamps Blog, there is a new set Creepy Creatures that was just release, also you will get updates on upcoming new stamps. As always thank you for taking the time to stop by my blog. Stay tuned for some more projects. Bye! Card #1 is the "Day" version. I wanted to make her look like a bride. She is colored with my Copics, fussy cut and placed on dimensional pop dots. For some sparkle on her special day, I used Star Dust Stickles and some mini flat back pearls to adorn her dress. I also gave her a pearl encrusted bouquet. The sentiment that comes in the set is "Life is Fabulous", which I masked and only stamped "Fabulous" and I added my own "Mrs." image. This second card is the "Night" version of Card #1. I colored and fussy cut the image, added dimensional pop dots and added Xmas Red & Star Dust Stickles. I stamped the full sentiment. Also I doodled the ribbon and the tiny circle dots as the background mimicking the ones on her dress. She is ready to parrrrtayyy! This preview was fun. I hope you enjoyed my cards. Head on over to the TGF Blog to see the other creations using this stamp set by the Designers. WAIT! 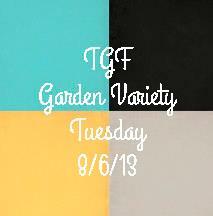 One more thing....here is my card for this weeks GARDEN VARIETY TUESDAY. I created a card using some leftover papers from my sister's wedding favors. This Kissy Kissy Digi image is perfect! My sister actually wore her hair like the image and she also had a flower in it. The dress is similar to hers, minus the ruffle sleeve. Her hubby wore a grey suit and has blonde hair. The image is colored with my Copics and I used the Film & Polaroid Die Set to frame them out. Okay, I promise that's it for today =) Bye! over at The Greeting Farm. It's very simple, but a tiny bit of labor went into this card. I did some fussy cutting and added two layers of dimensional pop dots. I filmed a Start-to-Finish Video of this card. I don't do these videos often because I have to work my way around a camera in front of me, awkward set-up but it's all I've got LOL. You have 'til Thursday to enter over at the TGF Blog. Have a beautiful Sunday! Happy Friday! 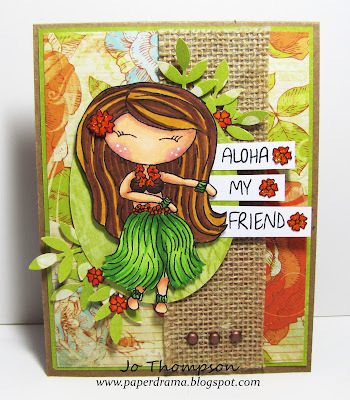 Here is my second project from the MyStyleStamps Aloha Set. I titled this one "Hula Girls". This set only comes with one image of the hula girl, but with a little masking and placement, I have three beautiful girls! You can check out my YouTube video here showing how I accomplished this. The images and background are all colored using my Copic markers. It took me a bit to finish this entire image, but I really like how it turned out. 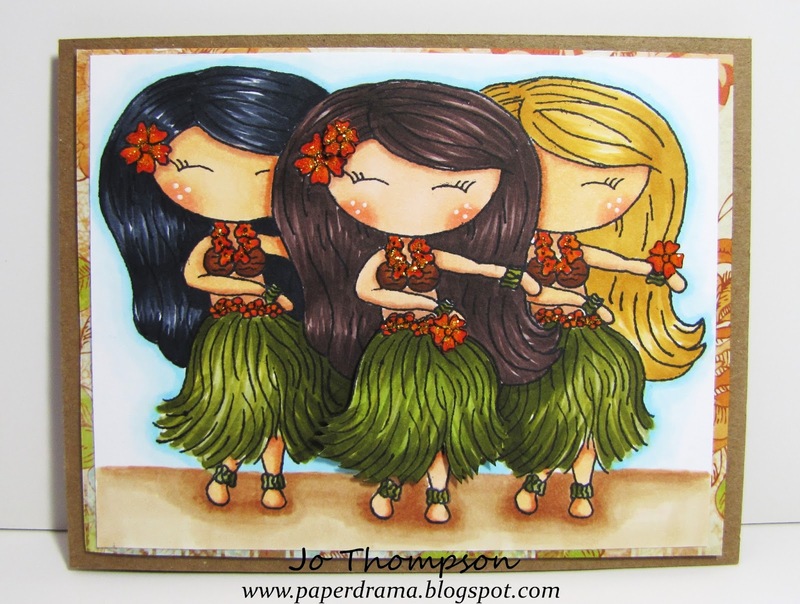 The stamp set also comes with another little flower image, which I fussy cut and placed on the card (on the middle girls hair, the hula skirt, and the blonde's wrist). To make the center image stand out, I colored another stamped image of the hula skirt and popped it up with dimensional pop dots. I also added a second flower on her hair that is also popped up. The flowers and leis are all covered with Yellow Stickles. I kept the card very simple with some matting to keep the image the main focus. So there you have it. This was fun and I hope you guys try this masking technique using this stamp set. Have a great weekend! Today over at The Greeting Farm, this Garden Variety Tuesday Challenge is a Photo Inspiration/Color Combo. I chose to do the Color Combo aspect from the photo. Here is my card. 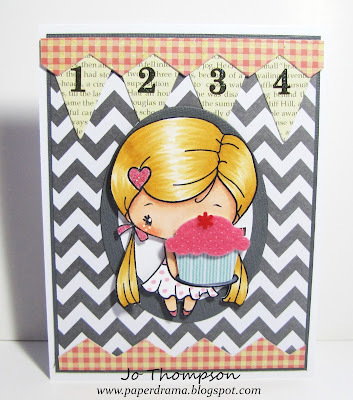 I used Birthday Anya 3 and the 6x6 papers from EP Sweet Day. I hope I got the colors correct. I decided to draw little hearts on her skirt with my Copic marker. The heart in her hair and the cake are covered with Star Dust Stickles. I had some leftover heart embellishments and since they were all glittered up, I thought that they would look cute on the card. I didn't think that I would be able to pull these colors together from my stash, but I was able to find pattern paper and coordinating Copic markers. Hopefully you can do the same. 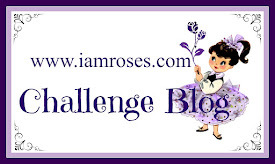 Come join us in this challenge over at the TGF Blog. 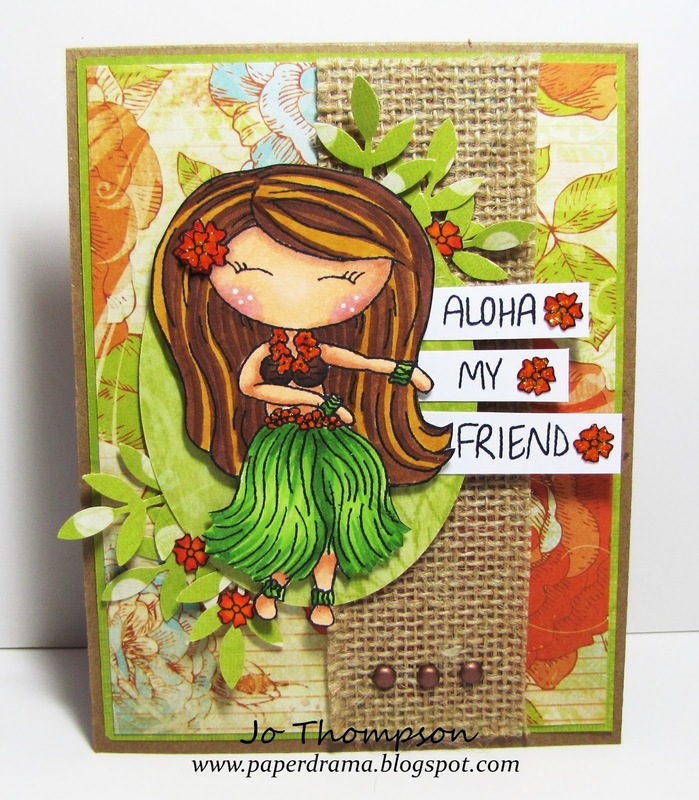 MyStyleStamps - "Aloha My Friend"
I did some fussy cutting with the mini flower in the stamp set. I added some Yellow Stickles for some glitter. To make the flower in her hair more dimensional, I layered another flower image on top. Some burlap trim gave it a more earthy look. I also used a Martha Stewart leaf punch for the foilage. 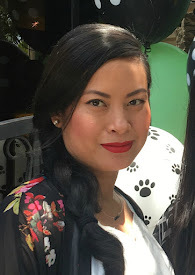 Stop by the MyStyleStamps Blog for more inspiration and visit the store here. Thanks for stopping by, you can get a close up of my card in this video. Have a great day! Good morning! Happy Tuesday to you guys. This GVT challenge is Stickers! 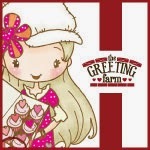 Head on over to The Greeting Farm to play along. Here's my card using Birthday Anya 3. She is colored with my Copics and I place a cupcake sticker on top of the cake image that she is holding. I also incorporated some banner stickers from my stash on the top & bottom of the card. 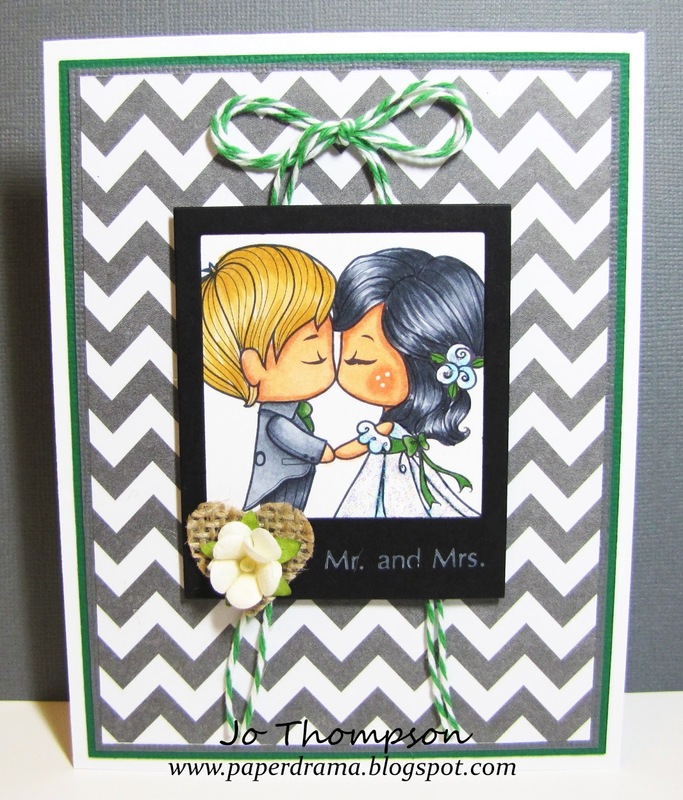 The chevron paper and grey cardstock are leftovers from a project. This card was simple and fast to put together. It's time to bust out your stickers and enter to win over at the TGF Blog. FFF - Mix It Up! Today it is a "Mix It Up" Challenge over at The Greeting Farm. Pick two images (more if you like) and combine elements from both to make one image. 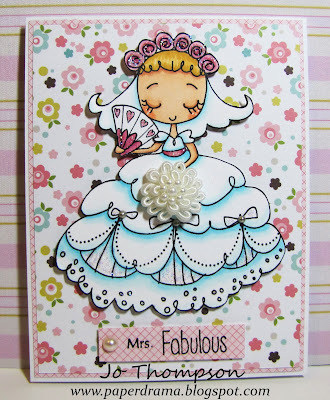 Here I used Frou Frou Birthday and Birthday Anya 3 (both August Releases). The body's is Frou Frou's but you can spot Anya? I basically cut up Anya into little pieces LOL. I used the cake, of course, and it is the image to your left, red velvet flavor =). You can spot Anya's feet poking through on the bottom of the dress. I did cut off a layer of Frou's dress. For the hat, I used the heart and for the "feathers" it is Anya's pigtails! Hehehe. I wanted to use as much of the image as possible. I describe this "new" image as Mardi Gras meets Eighteenth Century fashion. The image is both paper pieced and colored with Copics. Lastly, I added some red Stickles for all the hearts and also the strawberries on the cake. This challenge was super fun, I loved challenging myself to basically make a "new" image out of two. Do give this a try and if you do, enter it on this Farm Fresh Friday's challenge over at the TGF Blog! The image I used is the new release Frou Frou Birthday. She measures just below 5", she's about the same size as the Big Anya's. I partially colored her with my Copics and paper pieced the rest of her. This card is pretty much a one layer card, not including the layers of the paper pieced parts. 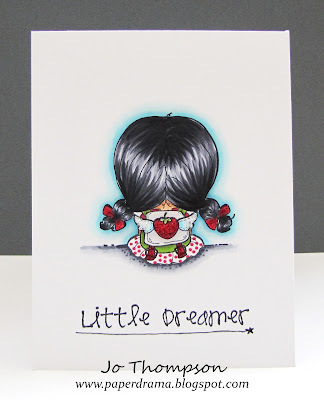 I just stamped the image straight on to the card and colored her. I doodled a little line border and embellished the corners with some mini grey pearls. 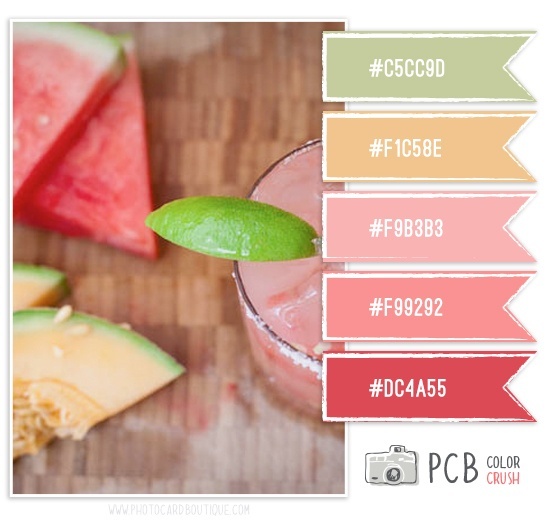 Okay there you have my card for this color challenge. Come and join us over at the TGF Blog, get inspired by the Designers' creations and enter to win! FFF - "Gettin' Wiggy With It"
So I chose to go green. I actually only used two Copic colors for her hair. I really like how it turned out. This was a ton of fun. I think purple will be my next color =) The image is Boho Anya, her scarf is the only item that is paper pieced. 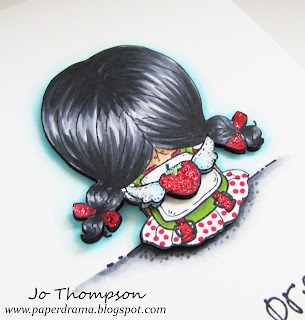 I fussy cut the hearts from the pattern paper and used some Spellbinders dies. 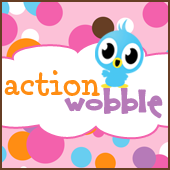 Come join in on the fun and enter win!